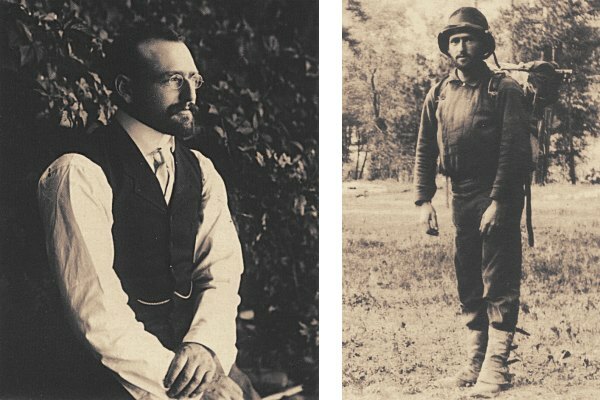 The photographs are from Shirley Sargent's marvelous biography Solomons of the Sierra-The Pioneer of the John Muir Trail. The studio shot on the left was taken in San Francisco in 1901. The photo on the right was taken in Kings Canyon in 1895 upon Solomons' completion of a route from Yosemite to Kings Canyon which later became the John Muir Trail.